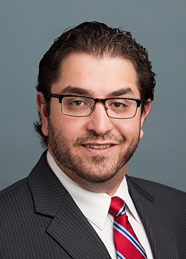 Associate Saman Golestan helps Arizona working families via his practice areas of employment, wage and labor law. He provides legal work for TCLG’s compliance division in the fight to stop cheating contractors and provide fair wages to working families. He also advises clients on election and political law. Before joining TLG, Saman’s work in Arizona included helping seriously injured individuals get needed care and protecting individual’s constitutional rights in cases where police officers acted beyond their legal authority. He also spent time working in Washington, D.C., at National Public Radio’s Office of General Counsel in the areas of First Amendment, regulatory and international law and for U.S. Rep. Kyrsten Sinema’s office, helping craft policies that put the needs of Arizonans first. Saman earned his Juris Doctor from the Sandra Day O’Connor College of Law at Arizona State University. He also has two bachelor’s degrees in political science and journalism and mass communication from Arizona State University. On a personal note, Saman enjoys traveling, taking road trips and, in particular, visiting important cultural and historical sites during his travels. At home, he enjoys spending time with his family and friends. Saman also enjoys swing dancing and is a bona-fide movie buff.